This post gives you 10 practical ways as a parent to support your child’s mental health and wellbeing. It’s Children’s Mental Health Week this week and there are loads of great resources for schools from Place2Be and the Anna Freud Centre for Children and Families (and from us from the last 2 years here!). However, families and parents are vitally important in helping children to develop and maintain good mental health and wellbeing. It can be tricky to know where to start, though, so these 10 tips should help. Although they are ‘easy’, we recognise that being a parent is rarely easy, however hopefully there is at least one tip that you can try with your child to get started. 1. Show them you love them – hug them (if they will let you!). If they don’t like hugs, how about a high five or a special handshake for just the two of you? 2. Try to create a home environment where they know they are safe to be themselves – whoever they are. Accept them as they are and don’t try to force them to be something they are not. 3. Take a genuine interest in the activities and things they love (not what you would like them to love). If they love american football, learn about it so you can chat to them about their interest – get them to teach you! 4. Tell them that you recognise their strengths and show them you notice when they do the right thing (e.g. ‘I saw you helping David with the baby. Thank you, that was such a kind way to behave and so helpful’). 5. Make time and space for your child and give them your full attention. A little bit of undivided attention and active listening every day is great. Turn off your phone and really listen to them. A car journey or walk where you are side-by-side can be more fruitful than a face-to-face interrogation! 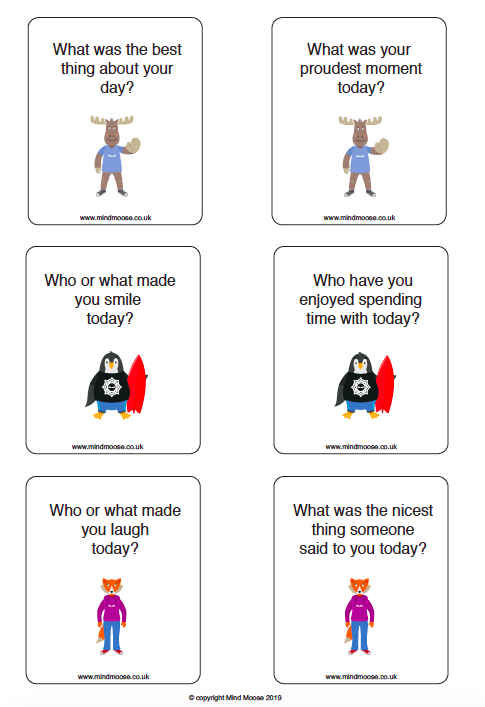 Our family conversation cards can help get you chatting. 6. Show them that everyone is human and makes mistakes. By doing so you can model effective ways to deal with difficult situations (e.g. calming down, saying you are sorry, explaining that you recognise you made a mistake and what you’ll do to make sure it doesn’t happen again). They will learn from you that it’s okay to make mistakes and healthy ways to deal with it. 7. Make sure your child knows the family boundaries and what the consequences are if they cross the line. It’s not the severity of the consequences that is necessarily important, but the fact they know there are clear boundaries and you will follow through. This helps them to feel safe and secure. 8. Encourage talking about emotions and mental health. This need not be scary or ‘touchy feely’ if that makes you uncomfortable. Simply sharing your day and how things made you feel is a great start. E.g. ‘I felt really angry earlier today because I got a parking ticket and I mistakenly thought I was parked legally.’ is a good start! 9. Help your children to set and achieve goals. Perhaps they’d like to run (or walk) a mile. You can help them to do it and show them how to break their goal down into manageable sections. This is a really helpful life skill and very good for wellbeing. 10. Show children it’s important to take care of your physical and mental health. Model good habits to them (e.g. “I can feel myself getting a bit wound up about that parking ticket again, so I’m going to have a walk / bath (or both!) to calm myself down!”). Do contact us at support@mindmoose.co.uk if you’d like to try Mind Moose to build a positive relationship with your child and support their mental health (or if you’re lucky, your school has already signed up, so speak to them about how you can get involved too!). PS. You can download a printable PDF of this guide by clicking the box below if you are a parent, or a school that would like to share it with parents. This is a really exciting opportunity to work in a tech start-up that is transforming early intervention in children’s mental health. Mind Moose is an interactive online programme is aimed at children aged 7-12 and combines identification and evidence-based psychological interventions in an easy-to-use, fun format. We’ve made a great start. We’ve launched version one of our product, which children, teachers and parents love! It’s running in 20+ schools, and our interventions have shown significant positive impact on children’s mental welling. 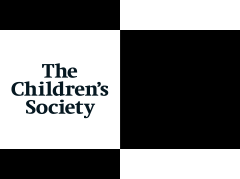 We’ve received investment from Bethnal Green Ventures, and secured partnerships with a number of charities, such as the Children’s Society. We’re proud of what we’ve achieved, and looking for your sales expertise to help push us to the next level. Closing sales in a professional, positive manner. Opportunity to help to shape our ongoing sales strategy. A short cover letter outlining why you would like this role, why you would be successful at it and how you think you would approach selling Mind Moose to schools. A brand new web-based tool is offering a pioneering take on childhood learning, helping children develop an awareness of the key role played by a positive approach to mental health and well-being, as well as proving an invaluable resource for early intervention among parents and professionals. The brainchild of founder Zoe Ross, Mind Moose is designed to help children develop good social and emotional health and mental well-being and enable adults to spot possible issues and provide early intervention, a key factor in the prevention of mental health problems. A former teacher, Ross has created a platform which helps children recognise their own positive qualities and achievements and provide them with insight into how their own minds work, using evidence-based techniques to help them manage the often overpowering emotions of childhood. With the aid of approachable characters led by Mind Moose, the platform helps children aged 7-12 develop the healthy habits and crucial self-knowledge which will set them in good stead for a bright future. An additional interactive dimension is included with collaborative ‘Moose Missions’, to encourage discussion between peers, children, teachers and parents and the inclusion of badges and certificates ensures children are provided with positive reinforcement, while educators and parents are provided with valuable information about the child. 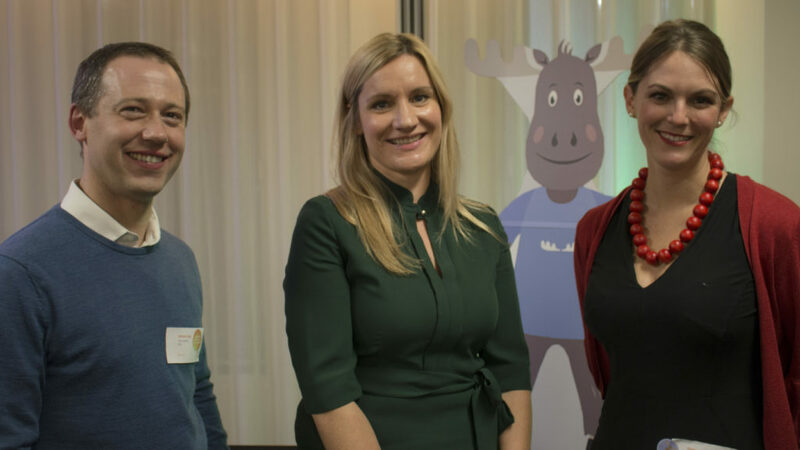 With support from pioneering early stage ‘tech for good’ investor Bethnal Green Ventures, Mind Moose is gathering traction as a highly valuable resource for the classroom. Find out more about Mind Moose at the official website www.mindmoose.co.uk or book a demo of the Mind Moose programme at www.mindmoose.co.uk/demo.